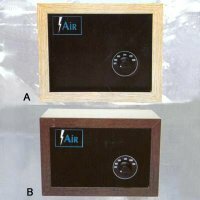 Lightning Air Purification System - D. I. Engineering Co. Ltd.
Model LA 750-150 sq. ft. to 750 sq. ft.
Model LA 1500-300 sq. ft. to 1500 sq. ft.